InFlight is a leading manufacturer of high quality precision diecast scale aircraft models. Having set many standards of production within the industry, they continually produce a leading, accurate and limited batch of releases each month. Product Description: Airline: Abu Dhabi Amiri Flight Aircraft Type: Boeing B787-..
** PRE-ORDER - ETA ~ TO BE CONFIRMED ** Product Description: Airline: Aegean Airlines..
** PRE-ORDER - ETA ~ TO BE CONFIRMED ** Product Description: Airline: Aer Lingus.. Product Description: Airline: Aer Lingus Aircraft Type: Boeing B747-100 Regis.. Product Description: Airline: Aerolineas Argentinas Aircraft Type: Airbus A340-3.. Product Description: Airline: Aerolineas Argentinas Aircraft Type: Boeing B747-2.. Product Description: Airline: Aerolineas Argentinas Aircraft Type: Boeing B747SP.. Product Description: Airline: Aeromexico Aircraft Type: McDonnell Douglas DC-9-3.. Product Description: Airline: Aerosur Aircraft Type: Boeing B747-400 Registra.. Product Description: Airline: Air America Aircraft Type: Lockheed L-1011 TriStar.. Product Description: Airline: Air Atlanta Icelandic (Iron Maiden) Aircraft Type: .. 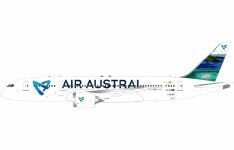 Product Description: Airline: Air Austral Aircraft Type: Boeing B787-800 Dreamli..